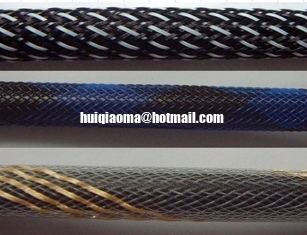 Braided sleeving also called: flexible metallic tubing, woven pipe, cable shroud, braided sleeving, stainless steel braided sleeving, etc. 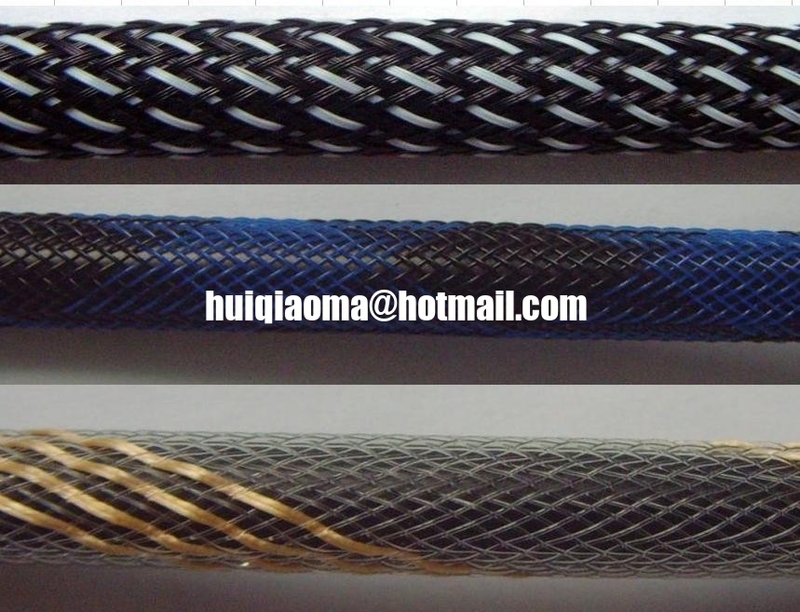 Weaving and characteristics: finished products in form of tubular shape, weaved from stainless steel wire, strong and tough PVC wire or high tensile reinforced polyester wire, finished products have the features of superb heavy production capacity, abrasion resistance, corrosion resistance, anti-aging, anti-bending. High intensity, good ductility, attrition resistance and other characteristics. This product can function as filtering equipment as well as protective articles. Applications: Widely used in protective equipment of the hose/ flexible tube, metal expansion joint, compensator pipeline and the wave-shaped pipelines. And function as the compensative element , potted component , joint-component, bumper /damping component in a variety of gas, fluid piping systems, as well as length, temperature, position and angle compensation system. Used in aerospace, petrochemical, mining, electronic, mechanical shipbuilding, health care, textile electronics, energy and construction fields. Variety: Stainless steel sleeve net, nylon sleeve net series, stainless steel hoses, automotive industry rubber tube sleeve net, flame-retardant cable braided sleeving. Specifications: maximum diameter-800 mm, the minimum diameter-2.5 mm.